Defrel set for Premier League move? Both Newcastle United and West Ham are in the race to sign talented striker Gregoire Defrel on a permanent deal from Roma. Defrel currently plays on loan with Sampdoria but a string of impressive displays have captured the attention of several top Premier League sides. 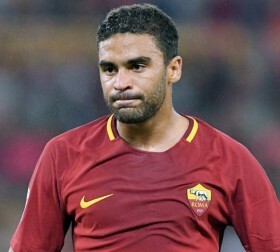 27-year-old forward Defrel has been with Roma since 2017 and is now ready to make a move to England in search of regular first-team football, having seen his opportunities limited with AS Roma. Defrel, from Meudon in France, has spent his whole career in Italy, starting his youth career with Parma before a loan spell at Foggia. Later moves to Cessena and Sassuolo followed. Defrel arrived at Roma for a 15 million euro deal and it is understood Newcastle will pay close to 18 million euros to secure a permanent transfer for the Frenchman. Defrel has almost three years remaining on his current contract. West Ham are also believed to be in the race for the striker, as they seek a replacement for the outbound Marko Arnautovic, who looks set to leave on a big money transfer to China this transfer window.